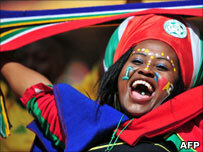 It's the end of a busy year for Africa, with the football World Cup, one coup, two attempted coups and much more. But what do you remember about the quirkier headlines? Test your knowledge in our annual quiz. 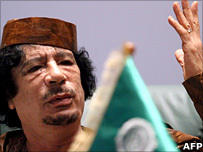 What did Libyan leader Muammar Gaddafi NOT do? Why was an airport statue of South Africa's King Shaka removed? 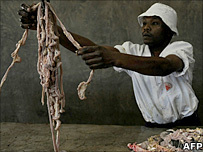 Who urged Kenyans to give up meat this year? 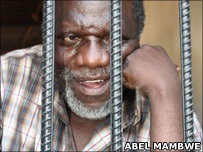 What upset Zambian MP George Mpombo when he was jailed? Which organisation threatened to ban vuvuzelas, the plastic horns blown by World Cup fans in South Africa? Which of these three public figures said the following on announcing their retirement this year? Nobel Peace Prize winner Archbishop Desmond Tutu: "Let me give a chance to the youngsters"
Marathon world record holder Haile Gebrselassie: "The time has now come to slow down"
South Africa's first black cricketer Makhaya Ntini: "I have so many great memories"
Who ordered whom to go on an anger management course? What initiative did African leaders push for this year to halt the advance of the Sahara Desert? It was a South African pastor who sparked fury with his sermons saying Jesus had HIV. Col Gaddafi said in August that the EU should pay Libya at least (£4bn; $6.3bn) a year to stop illegal immigration and avoid Europe "turning into Africa". In March he said Nigeria should split up to stop communal violence. He later went on to say it should be divided into several states along ethnic lines. King Shaka - who founded the Zulu kingdom and was famous for his military tactics - is traditionally depicted bearing arms. The statue was removed in June from Durban's new airport as he was shown unarmed and surrounded by cattle. It was campaigner Michelle Odhiambo, dubbed "the Lettuce Lady", who said her dress was intended to convince Kenyans to give up popular dishes such as roast meat, known as "nyama choma". Zambia's former Defence Minister George Mpombo, who was jailed for 60 days for issuing a cheque that bounced, said he was appalled at prison conditions and that breakfast is not served to prisoners. Members of South Africa's Nazareth Baptist Church, better known as Shembe, said the vuvuzela had its origins in the traditional long metal trumpet used by its pilgrims and should not be used by football fans. When Makhaya Ntini, 33, retired from international cricket after 12 years in November, he said: "I have so many great memories, which I will carry with me for the rest of my life." The same month Ethiopia's Haile Gebrselassie dropped out of his first New York Marathon saying: "Let me give a chance to the youngsters", but reversed his decision to retire a week later. South Africa's Archbishop Desmond Tutu stepped down from public life on his 79th birthday. Announcing the decision he said: "The time has now come to slow down, to sip rooibos tea with my beloved wife in the afternoon." ANC officials found Julius Malema had brought the party into disrepute for criticising President Jacob Zuma - and he was also forced to make a public apology for dividing the party. Zimbabwe's leaders have had a fractious relationship all year and the Nigerian president at one time sacked the Super Eagles for their poor performance, but no anger management courses were prescribed in these cases. African leaders met in Chad in June about the Great Green Wall project, conceived five years ago but not started because of a lack of funding. The tree belt is intended be 15km (nine miles) wide and 7,775km (4,831 miles) long.